We need volunteers. We say as much, in ads, to staff, to other volunteers and to the woman behind us in line as the barista makes our coffee. So, how can we justify rejecting anyone who steps forward and raises their hand? Because, as much as we want every person who even mutters the word “volunteering” to succeed, we need volunteers who will make a positive impact on our missions. What do you do when someone applies to volunteer and you realize they will not work out? Do you practice avoidance because you’re a nice person and nice people don’t reject other people, especially to their faces? Do you accidentally lose their paperwork? Do you string them along by saying “every job is closed right now due to an internal audit and I’m not sure when the jobs will open back up so hang in there,” in hopes they will get tired of asking? Or do you accept them and just hope the problems won’t be too big? Do you keep them so close that they’re practically an extension of you and then you fall behind on deadlines? Do you place them with great volunteers, hoping constructive influence will remake them? Ok, I’m not proud of it, but at one time or another, I’ve actually used every one of the above “strategies.” And, yes, you guessed it, every one failed. These strategies failed because they were not sound to begin with. Unlike staff, we do not have a limit on number of volunteers we can accept, so it becomes much harder to turn away a volunteer. Qualifications for volunteering are viewed as much simpler and broader than for staff. There is this perception surrounding volunteering that anyone who offers their time is already fit for the job, which is a complete opposite of the perceptions of staff hiring. Unpaid work is viewed as simple, easy and can be done by anyone. Perceptions of volunteers and their contributions hinder our ability to be choosy, but we must. We are responsible for providing volunteers who positively impact our missions. But there’s another reason to be choosy. As we advance our volunteer engagement programs, we have to tighten up our methods for maximum impact and move away from being overwhelmed by unproductive ends. We don’t know the potential volunteer as well as we know an existing volunteer. We haven’t given the potential volunteer a chance. We’ve work hard to recruit the volunteer and now we’re rescinding that invitation. We don’t know the approach that works with a volunteer we barely know. We feel like we’ve failed because our recruitment strategy didn’t capture the perfect person. We can’t keep using avoidance or risky strategies. Those counter intuitive strategies waste everyone’s time and create ill feelings when our goal is to create positive relationships. And we can actually create a relationship with a rejected volunteer. The first thing we need to do, is to stop using the word “reject.” Reject is a harsh word, meaning deny, eliminate and dismiss. Instead, let’s look at reshaping the potential volunteer. Let’s view every person who comes to volunteer as our chance to create organizational advocates. Not everyone has to volunteer to become an advocate. Heck, one-time volunteers or people who tour your office can be advocates. Reminding yourself that not all people will fit the volunteer role, but all people can be advocates. Reassuring yourself that your goal is to create an advocate, not a person who feels mistreated because of avoidance strategies. Giving yourself permission to feel disappointed, but assure yourself that you are a proactive leader who is finding the best solution for all. Reminding yourself that it is more cruel to set a volunteer up for failure than it is to find an alternative solution from the start. Viewing the opportunity to mold your engagement program. 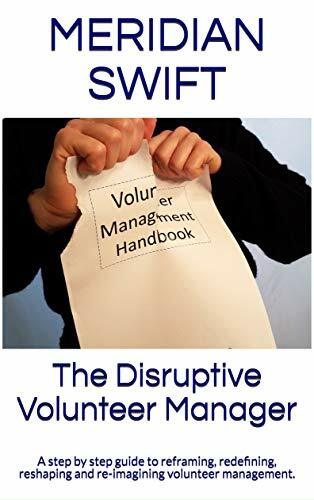 We, volunteer managers are not comfortable rejecting volunteers so let’s stop looking at it in this way. We want everyone to excel. But not everyone has to excel in the task boxes our organizations have created, so it is up to us to invent new boxes. If we develop a volunteer engagement system that allows for avenues, reshaping becomes much more palatable for us and for the new advocate. Next time: Systems in place to turn a rejection into a reshaping. Thank you Colette, I’m glad you found it useful! 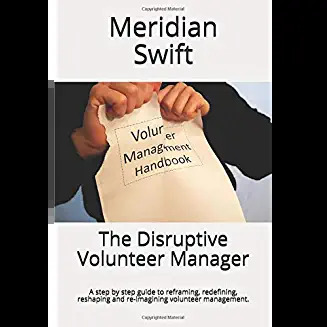 I was just speaking with a colleague about this very topic after having to terminate a brand new volunteer that I had a pretty good idea was not going to work out but didn’t know how to turn them down. Will be looking forward to the next installment! Thanks Tracey! It is a challenge that’s separate from counseling an established volunteer. Takes a different tact for sure.